Don Burleson over at Burleson Consulting has written an interesting survey of Oracle biometrics applications. With the inherent problems associated with passwords Oracle security administrators are finding that Oracle biometrics is a more secure and cost-effective solution. Oracle biometrics system offer more secure environments and also remove the need to dedicate a help-desk person to manage changing passwords for hundreds of end-users. It’s interesting to see what’s out there, but as Zach will always remind us, biometrics will not hold up in the long run. As biometrics become commonplace they will be hacked. 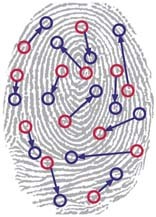 What will you do when someone steals your fingerprints (or the digital representation of them.) You can’t change them. Hell, you can’t even keep from leaving them behind just about everywhere you go. If a lock can be opened, it can be picked; and if your password can be used, it can be forged. The more common biometrics become (Don mentions in his article that fingerprint readers are now less than $31) the more folks will set their sights on hacking them. These devices work on common interfaces and pass their information over networks potentially exposing your personal password to unknown parties. If biometrics catch on you could be required to provide fingerprint identification to use your credit card at your local convenience store. Do you really trust them, or worse yet, the government (who can’t even keep your SSN secure) with your password to your bank account, business account, desktop computer and medical history? So if biometrics isn’t the holy grail of electronic security what is? I don’t know what the future of password management is. The most holistic solution I’ve seen yet is the one that Zach and I proposed last year where users are provided with a “password change authorization code” which they are encouraged to keep with their birth certificate (or in another safe place) which allows them to change their password through a self-service page in the case of password loss. In the gaps between teaching, work, bloging and working on some pet-projects I have finally finished MAKE: Technology On Your Time, Volume 2. Chock full of home entertainment projects, I am yet again impressed with the quality and quantity. Highlights include HDTV on Your Mac, Atari 2600PC, and instructions on how to build a twitchy little robot out of a computer mouse. I’m glad the magazine only comes out quarterly… I could spend three months working on the projects from just one issue! While the quality of the projects outlined in MAKE is undeniable, I am finding the true value of the magazine is how it has changed the way I look at things. I can only equate this to when I learned how to pick locks. Once you have picked a Masterlock and a few door locks your attitude toward locked doors changes. What was once a barrier is now a challenge, even one to look forward to. MAKE has changed the way I view the world. A broken answering machine, old mouse, dead entertainment system, even a cheap Commadore64 direct-to-TV game have taken on a new value. I’ve always been a hacker, never afraid to take the screws out and rewire, but this is going to a whole new level! More than a book full of projects, MAKE is full of new ways to apply technology, new tools, and true “maker” attitude. The value of MAKE, and it’s true spirit, is realized when you view it not as a bunch of projects and reviews, but as 200 pages of raw information just waiting to see how the reader will put it all together. Well, one thing is for sure… I’m glad my girlfriend got me a subscription for my birthday. Time to dig into Volume 3. I’m afraid I’ve only got a couple months until Volume 4 will arrive. For more information on what started this new obsession of mine, check out this article about MAKE, and this retrospective on Volume 1.